The Definitive Feasibility Study (DFS) for Clean TeQ Sunrise Project, near Fifield, has been completed. It forecasts local benefits to the community over the initial 25 years of the Project operation in the key areas of employment, employee salaries and wages, local community contributions and local supply opportunities. These benefits will include a peak construction workforce of 1,000 people and a steady-state operations workforce of 300 people (plus mining and logistics contractors and ancillary services), and an estimate of $1.9 billion in employee salaries and wages (includes mining contractor wages but excludes logistics contractors and ancillary services). According to an ASX/TSX announcement, released on 25 June, the DFS confirms the Project’s potential to become a globally significant supplier of nickel sulphate and cobalt sulphate – critical raw materials required to support the development of the rapidly emerging electric vehicle industry. The Clean TeQ Sunrise Project is expected to create hundreds of direct and indirect jobs in regional NSW through the construction and operations phase. It has the potential to provide tremendous economic and social benefits to the local communities of the Lachlan, Forbes and Parkes Shires. Over an estimated mine life of more than 40 years, the Project is expected to deliver substantial financial benefits to local, regional and national stakeholders through taxes, royalties, council rates, upgrades to local infrastructure, community enhancement contributions and other local community initiatives. “Clean TeQ’s vision is to empower the clean revolution by applying our proprietary technologies to find better ways to solve the planet’s most pressing environmental problems. With the development of the Clean TeQ Sunrise Project, and a fast-growing water treatment business, innovation remains at the core of our philosophy,” the statement explained. 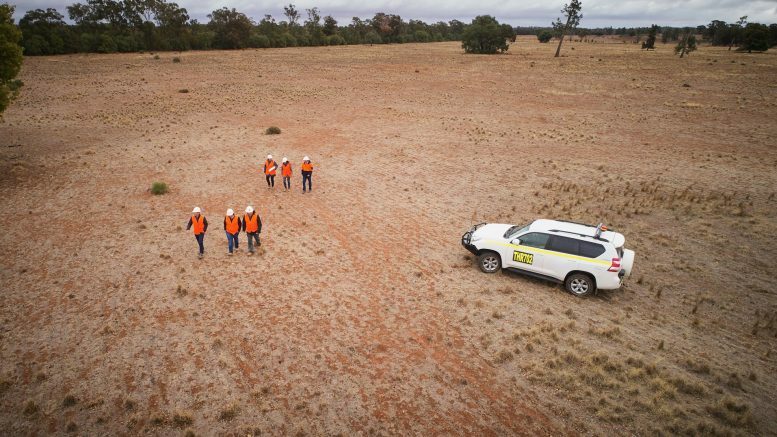 “Completion of the DFS is an important milestone in the development of Clean TeQ Sunrise, one of the largest greenfield mine development projects in Australia. Over the first decade of steady-state operations Clean TeQ Sunrise is forecast to produce high quality nickel sulphate and cobalt sulphate products in sufficient quantities to manufacture approximately 500,000 electric vehicles per annum (using nickel-cobalt-manganese battery cathode chemistry), the statement said. “Clean TeQ Sunrise is positioned to be a modern and sustainable mining operation producing products which are critical to the clean energy revolution. The global environmental issues caused by the unconstrained burning of fossil fuels in the world’s transport sector are profound. Being part of the solution is a core objective of Clean TeQ and a driver of our strategy to develop Sunrise,” Clean TeQ’s Chief Executive Officer, Sam Riggall, commented. “As well as the considerable financial benefits from royalties and taxes paid by the Project, there will be a strong community dividend in the form of employment opportunities, community enhancement contributions and infrastructure upgrades. When it comes to community investment and development, our approach seeks to recognise the importance of consulting the community about how it wants to grow and thrive. “We are committed to working together with our host communities as we seek to maximise the benefits of our presence, manage any impacts through leading environmental practices and show respect and care for people as we go about our business. “As the Project moves through the various horizons of development, we look forward to tapping into local talent and businesses. We have already received strong expressions of interest from individuals and businesses across Central West NSW who would like to be involved in Clean TeQ Sunrise.